1 Early morning trek (45 min) to temple of Savitri Devi on the hill. Savitiri is the wife of Brahma, who sits gazing down upon her husband's temple in a rage that has lasted centuries. 2 Check out the various Ghats of Pushkar during the day . 3 Visit the temple of Brahma. 4 Take a walk round the marketplace. Don’t drink alcohol. Pushkar is a microdot on the map. 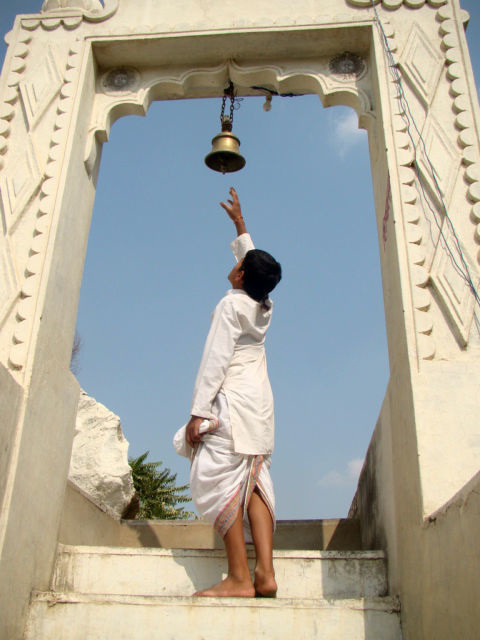 The 4 km by 4 km walled town of Pushkar is an ancient religious place. Consumption of alcohol is banned, as well as disrespectful. Don’t fall prey to Brahmin priests asking you to conduct a small pooja (ceremony) by the ghat. This is a scam, and at the end of the ritual they will ask you for a donation (money). 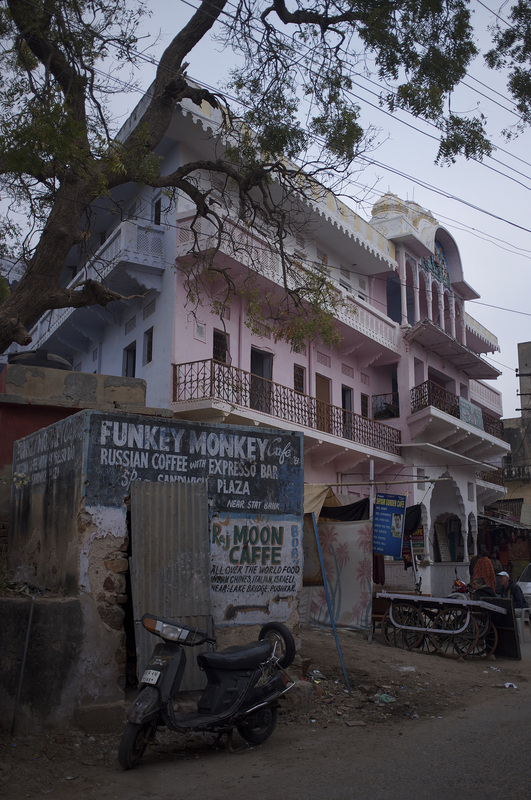 You will find many budget guest houses at Pushkar. My personal favourites are Namaste & Peacock House. Peacock house is situated outside the walled limit of Pushkar. The Cafe is beautiful, and the food, delicious. This is a favourite spot for Israeli tourists/backpackers. A non AC, basic, clean room costs approx INR 700 to INR 1000 per night.